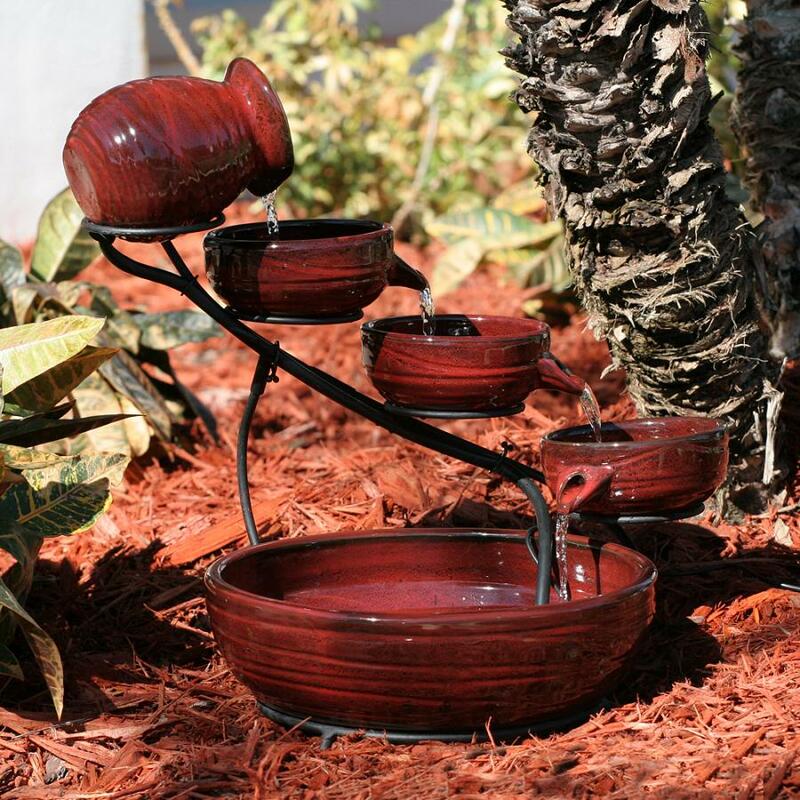 This four tiered solar fountain recycles water using solar power; a low voltage pump is powered by a remote solar panel which operates when placed in direct sunlight. 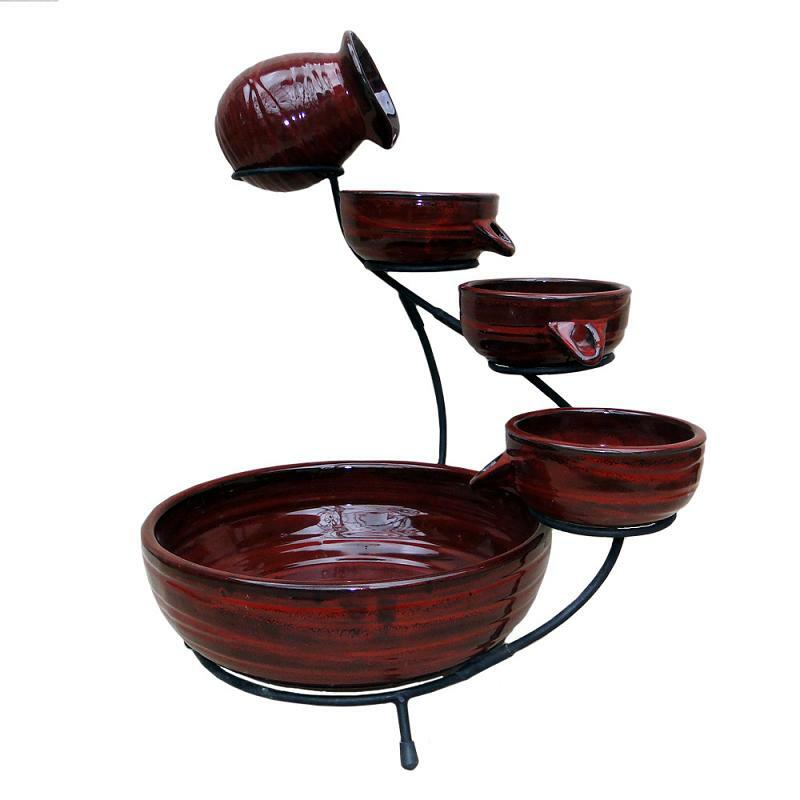 Water is carried up to the top jug and flows back down to the main bowl through 3 small bowls. 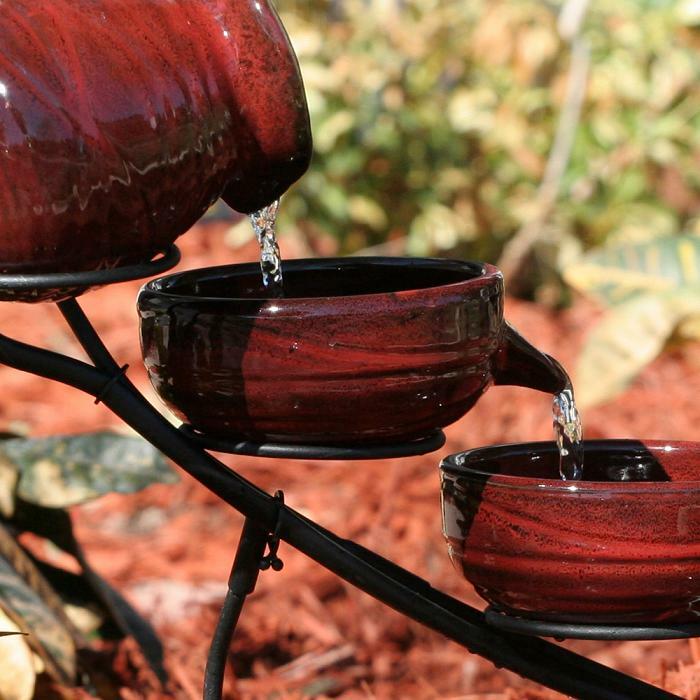 Creates sound of gentle running water anyway in the garden, patio or deck. 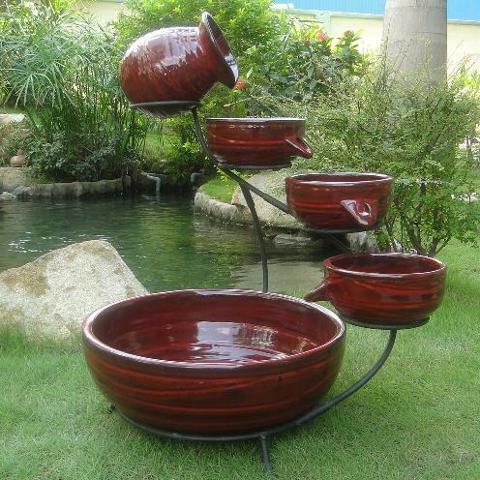 Hand crafted green ceramic bowls with bamboo effect. 10' of cable from pump to solar panel.